Shakila is a unique hand drawn brush font created and published by Fey Design, a freelance graphic design agency from Indramayu, Indonesia. 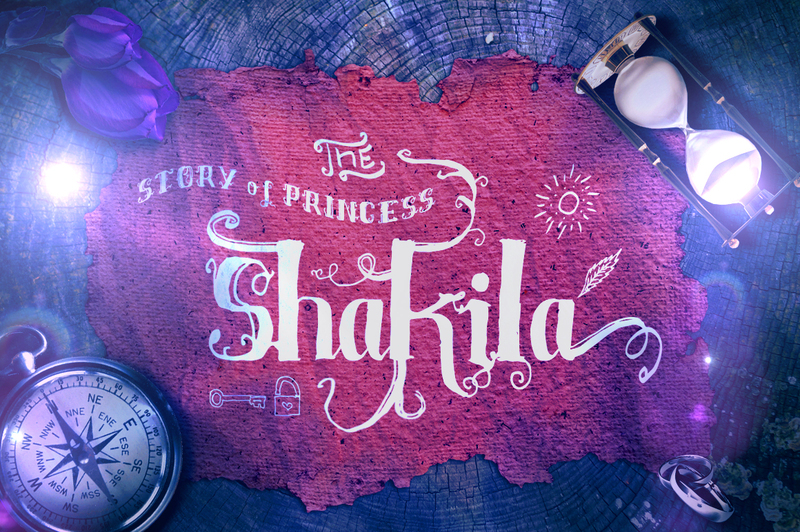 Based on a story about a princess, named Shakila, it has an incredible beauty with lots of extra font ornaments that make it perfect for element design, wedding, event, t-shirt, logo, badges, sticker etc. Get Shakila by the hand and never look back! A font description published on Friday, April 1st, 2016 in Ferry Hadriyan, Fey Design, Fonts by Andrei that has 2,239 views.